St. John of Capistrano was born in 1386 in Capistrano Italy. He was a well educated man, becoming a lawyer after studying in Perugia. He was an upright and honest lawyer and soon rose to great standing in the area. St. John of Capistrano was put in prison while working to negotiate a peace treaty. This gave him a time to look closely at his life. He had a vision of St. Francis of Assisi. After his release from prison, he chose to leave his current life and entered religious life as a Franciscan friar. He worked with St. Bernardine of Siena to reform the Franciscan order. John traveled throughout Italy and normally gathered huge crowds when he taught the faith and preached against heresies of the time. Many sick people where healed due to his prayers. 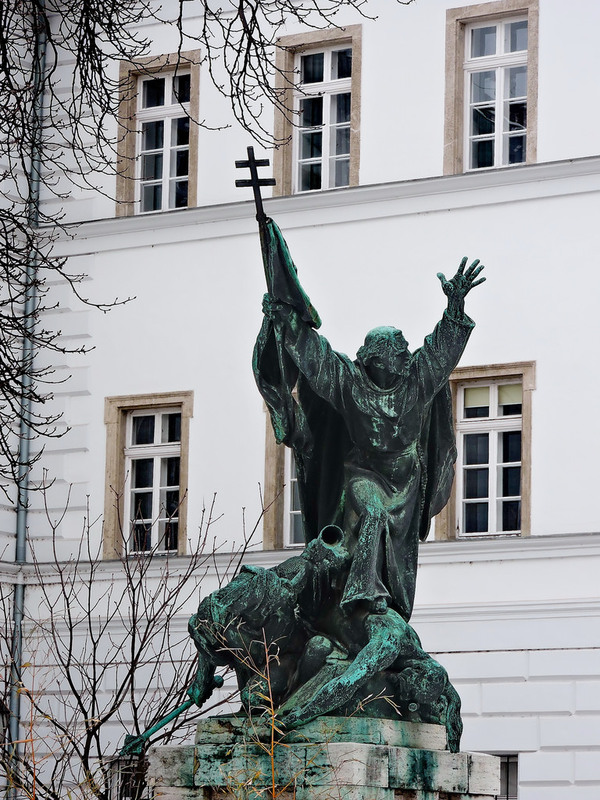 St. John preached a crusade against the Muslim Turks for the emancipation of Hungary. St. John of Capistrano died in 1456.